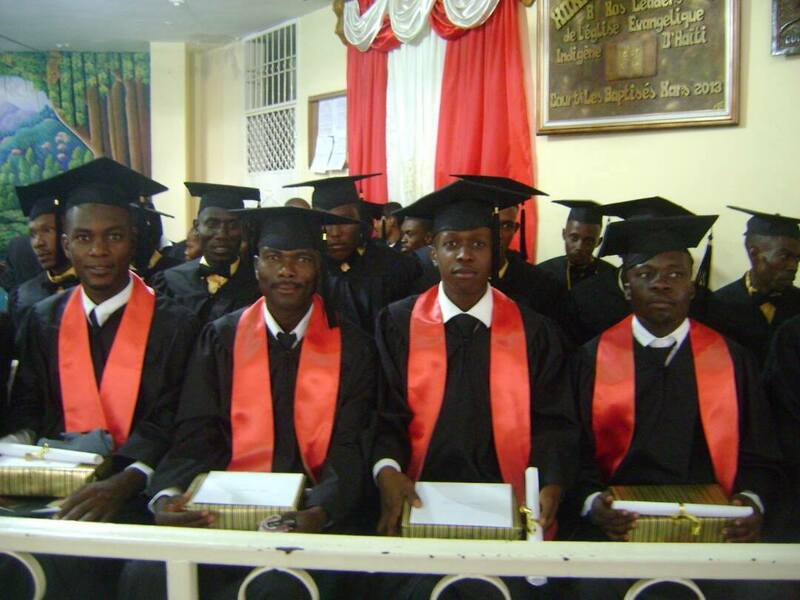 There were 18 graduates in our 3 year program. One of our graduates from our license program. Our graduates from our license program. Brother and Sister Gibson. 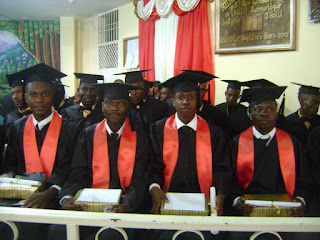 Brother Gibson was the sponsor for the graduating class and also guest speaker. A TLC Team of young people came to help with the project. It was a pleasure to work with them. Getting much closer to finishing the project. The clinic roof was in need of repair. Sunday morning following the conference. Brother Kenneth Sickler and Brother John Peabody with the leadership team. 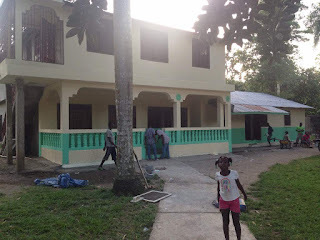 The wall around the property was never finished. A coat of plaster is being applied. We only receive several hours of electricity from the electric company each day. Brother Aaron Witmer, Reuben Brubaker, and the boys installed several solar panels to help keep our batteries charged. We are now able to keep the refrigerator running around the clock. The solar panels were placed beside our solar hot water unit. Brother Wilmer Paulus and Brother David Wise were our speakers for the conference this year. We received much help from their messages and teachings. The front hallway is coming along. Services at the K32 church. The convention was well attended. Brother Gibson was the speaker at the conference. 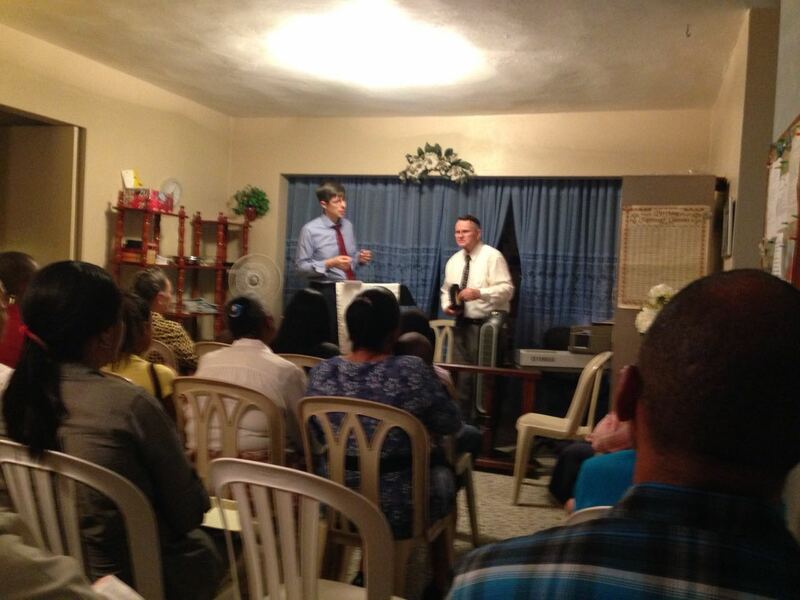 Brother David Middleton was the interpreter. 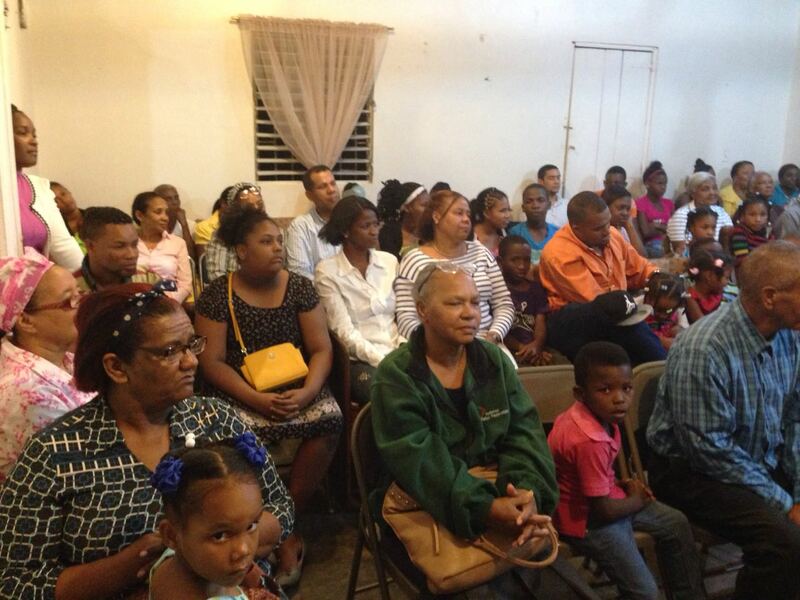 There was a good turnout at the Los Prados church. 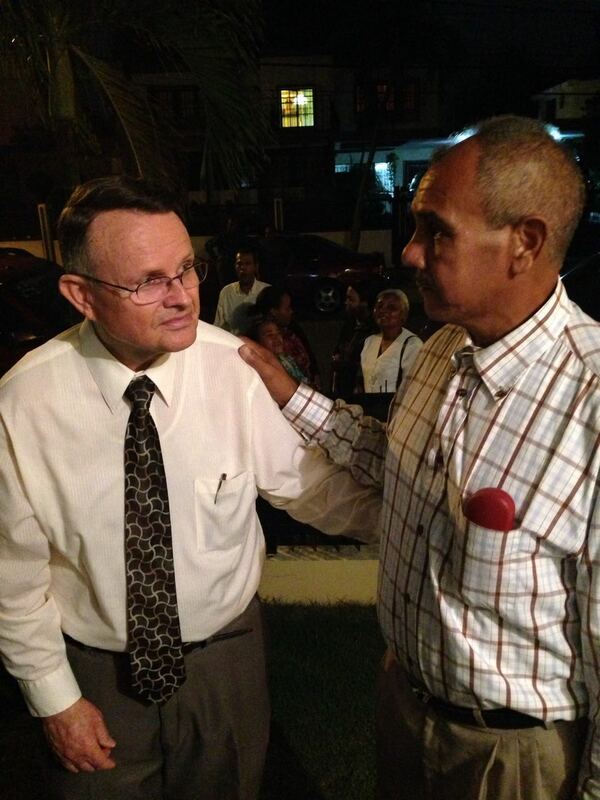 Brother David Middleton is talking with Ramon. Ramon's wife was a Christian for many years and the church was praying for Ramon. He gave his life to the Lord and now is sharing his experience with his old friends. The plastering is looking good. The posts are being poured. The men continue on the outside. We are pouring the concrete beam to support the roof.